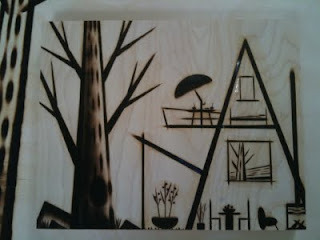 Fine Art by Blair McLean: The Post card! 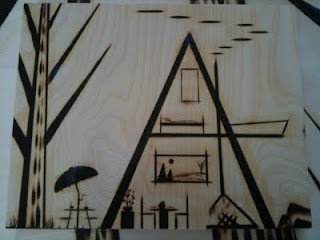 Modern pyrography! A new technique with new look! 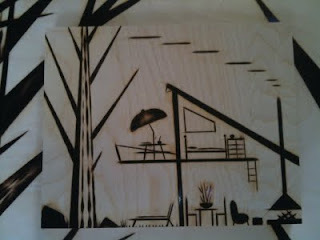 Not your old fashioned wood burning! This piece is called THE POST CARD! 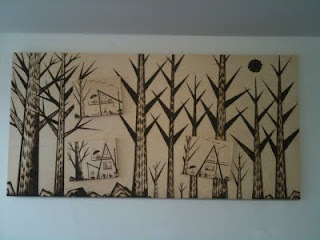 The Post Card has a back drop of a forest and 3 cute cottages made with smaller wood panels. The sise is 30" by 60" Its quite large. I find this piece a delight to look at. As with all my other work this piece is for sale. St.Germain Gallery, 3358 Yongue St, Toronto, Canada. This is blair, i have had this blog for such a long time! however i have not really updated it properly in a long time. My life has changed allot the last few years and I am honestly still figuring things out. Mostly at this time i will be showing you pics of things i love.